The Center for New York City Affairs (CNYCA) at the Milano School is helping to train the next generation of social services workers. Recently, CNYCA launched the Institute for Transformative Mentoring, a dynamic new professional training program focused on the development of Credible Messengers working in the social services fields throughout New York City. Three new staff — Saj Rahman, Dennis Mapp, and Ben (Cinere) Wilson — have been hired to the ITM team. ITM is a semester-long training course that is intended to help Credible Messengers — community members with relevant life experience and social capital that give them the authority to challenge the norms and change the thinking of those with whom they work — enhance their professional skills so they are better able to help others. 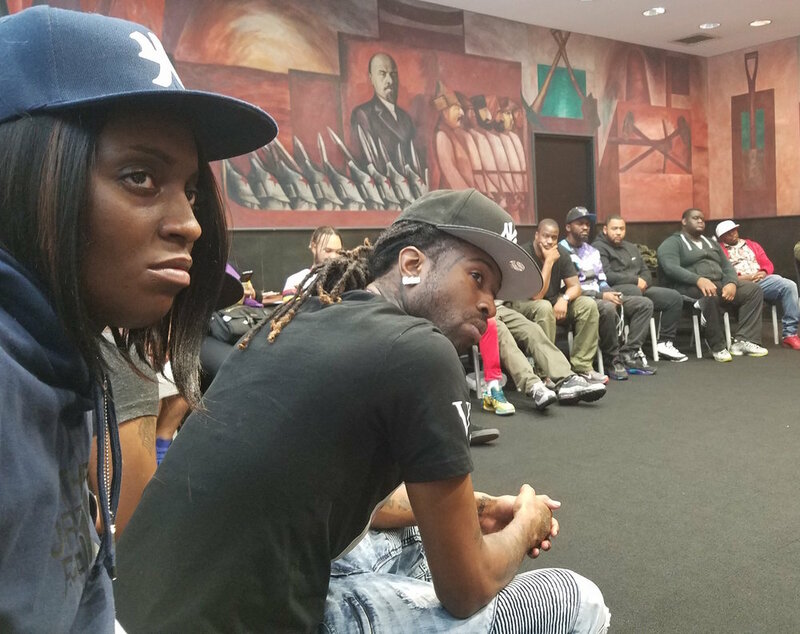 “ITM is structured as using restorative justice practices and interactive learning to support participants in engaging deeply with the material and each other,” according to the ITM website. “ITM has taught me that, the better I am able to deal with my own ‘monsters in my basement,’ the better I can support our mentees still struggling to make change,” Brandon Overby, a Credible Messenger, says.